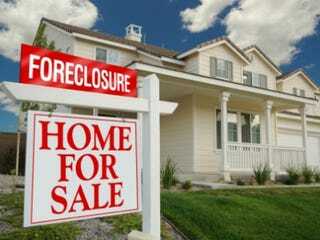 Could More Minority Bankers Have Prevented The Mortgage Crisis? As Politico put it late last month, one of the "little-noticed" sections of the Wall Street reform bill gave the government power to kill contracts with firms that fail to initiate diversity in the workplace. Saying that it expects "fair inclusion" of women and minorities, the new law "goes further than any previous attempt by the U.S. government to promote diversity in the financial sector." Currently, statistics don't really exist to specify the dearth of African Americans and Latinos on Wall Street. We do know that, in 2009, women occupied just 16 percent of the executive and board positions in the financial sector. What all this amounts to is a very important industry glutted with the homogenous opinions of a homogenous workforce, white men with sky-high salaries and expensive degrees making decisions that literally impact the whole world — most of which looks nothing like them. By forcing these firms to include more women and minorities, as conventional wisdom has it, the benefit will be substantial, if not instantaneous. Imagine the disasters that would have been mitigated if, instead of white males, it were black females handling the toxic mortgages that disproportionately harmed black women. Or would they have been? Actually, as the nation attempts to pull itself back from the brink of economic failure, a number of experts believe promoting diversity in the financial industry might not be helpful at all. One even thinks it might make things worse. Santa Clara University professor Hersh Shefrin is an economist who's been a pioneer in the field of behavioral finance, which attempts to understand the social and emotional factors underpinning financial decisions. Shefrin says that while he understands the basic principle behind industry diversity-"There may be a benefit to having a loan officer who has personal experience with the people they're lending to," he says-he adds, "Having said that … I can't see [the diversity provision] making much of dent on improving the sorts of problems that led to the global financial crisis. We have to remember that the culture of banking has more to do with the structure of firms than with the personal tendencies of employees." Shefrin thinks that the corporate culture within banks is stifling in such a way as to prevent diversity of opinion, even if it exists. He cites specific instances, prior to the mortgage crisis, where female underwriters warned their supervisors about giving loans to underqualified applicants. "Do you know what they were told by their superiors?" he asks. "They were told, ‘You approve the loan-and if you don't, I will.' Then they were told that they'd been put under review for firing. There is great pressure applied to these people." As it turns out, were it not for the tremendous demand to make as much money as possible, risk or no, women and minorities might indeed make better bankers-or at least less greedy ones. According to a 1998 study published in the Economic Journal, women BANKERS? are almost twice as generous with money as men are. And in a much more recent study, UC Berkeley researches found that the poor were much more inclined give to charity than the rich. Given the tremendous black-white wealth disparity in America, we can then assume that blacks, on average, are more likely to give back to those in need than their white counterparts. That might be the problem, according to Dan Ariely. Formerly of MIT, Ariely now studies and teaches behavioral economics at Duke. He thinks that the generosity of minorities might very well have resulted in an even greater financial crisis than the one we currently face. "People like people like them," he says. "Many studies show that we tend to favor our in-group, we tend to view their actions as more virtuous and we tend to suspect them less. It's a very powerful pull." Ariely posits that, had there been more minorities in the financial industry prior to the mortgage crisis, predatory lending would have actually increased. "If you're willing to believe-as I do-that the people who gave these loans did so not with malicious intent, it follows that they could have then convinced themselves even more to give to someone of their race, gender or ethnicity. In other words, I believe that if you were willing to give a predatory loan to a person with a certain risk profile, you'd be willing to give even more if that person had a slightly worse risk profile but if they were also from your race and gender." Of course not all minorities should be expected to be benevolent, and many who get into banking may well not be. Out of four black bankers contacted, three declined to speak with The Root. The one who did, spoke under condition of anonymity, saying, "I'm an upper-middle class kid who went to an Ivy League school; how different do you think I am?" Which leads to a larger question: If diversity is only nominally diverse, how big of a difference can women and ethnic minorities make on the financial field? "My response is that I think [minorities will make] very little, if any, difference whatsoever," says Dr. Stephen A. Diamond, a clinical and forensic psychologist based in Los Angeles and a blogger for Psychology Today. "Banks are capitalist ventures, profit-making corporations. This is what drives, motivates and informs those who choose to participate in the banking profession, because that is what defines success in both banking and business in general." Of the studies suggesting women and minorities might actually be less greedy, Diamond says they "make sense," but he's unsure about whether they'll translate to the financial field. "One of the beneficial effects of suffering is that it creates compassion for the suffering of others, which, in turn, can lead to more generosity and supportiveness," he says. "But there are also negative effects, like chronic embitterment, resentment, anger, rage, vindictiveness, and pathological selfishness … If [minorities in banking] have found constructive ways of dealing with their suffering, perhaps their presence could have a positive influence-though the institution of banking, like other institutions, tends to suppress the individual and perpetuate the status quo."